NEW BEGINNINGS-IT TAKES COURAGE TO CHANGE ©: TO SEE YOU FREE! "Gather together to Me My saints [those who have found grace in My sight], those who have made a covenant with Me by sacrifice. My sisters and brothers who Journey with The Lord Jesus, we Are the Chosen bride of Christ Jesus. We Are the Church of our Lord Jesus Christ. We Are the vessels that allow His Light to shine for those that seek Him. There are no small moments in our lives. No matter what you do- you are Important to God. We can do great things for the Lord if we are willing to do little things for others. The Word of God has the Power of life and death-The Power of breakthrough-of Deliverance, when spoken with faith, trust and an honest heart. He wants us to learn that the language of Prayer should be our first language, along with the language of Praise and Worship. This is what we were created for. It is the Way we communicate with our Father through the Life And Name of our Savior Jesus the Christ. The Spirit of our LORD Speaks to us and for us. Amen. Deliverance is here for each of us, thankfulness and Joy are the keys that open the door to it. No matter what is going on in each of our lives, we have to learn to vent it up to God and let Jesus keep His watch over us. It is joyful acceptance and anticipation-expecting Him is what pours forth His blessing. Remembering the many situations that He has already brought us through is what builds and strengthens a person’s faith. Everyone is going through ‘some thing’; whether it be old wounds, new wounds, consequences of mistakes made, rejection, lack and doubt, a job loss, the loss of a home, the loss of a loved one, a medical/health issue, the need for meds and not enough cash because there is no health insurance-And, the list goes on. And at times it can feel as though Jesus is not near you and that no one around you can even image what you are going through. Some people (Christians) cannot empathize with you because they have not gone through enough trials and troubles to have the compassion you may need to receive. They have not ‘suffered enough for Jesus’ to have the depth of understanding concerning your situations and issues. They have not allowed themselves to Grow in His grace, to Grow in their faith and trust of our Lord Jesus Christ! They have no grown into the depths of the Gifts of the Spirit. It is work to do this—They really do not have the godly wisdom And understanding that one needs to offer you anything that would help you. A person has to Want to grow into the depths of all these Spiritual Gifts into maturity. But Jesus will Always know who will allow Him to work through them to be your help here. Tell Him what is troubling you-what is heavy on your heart—what you are struggling with- Seeking deliverance from or into. Speak out your faith and trust to Him-To keep you on His mind—Remember me Lord, Remember me! And then Wait On The Lord to Speak to you—To come and see about you. I have a burden for God’s people in my heart. Praying for you is what I do. It is one of the many things that God uses me to do for His Children. He has come to me and directed me to Pray for you. His Spirit has put you on my mind, in my Spirit on my heart. I have asked His Spirit, what do I need to Speak to our Father in Jesus’ name concerning them-Your Sheep my Lord? His answer was multiple-But the main Word I heard was DELIVERANCE out from And Into! And, many need to allow Him to work on them concerning their immature emotional lives. This lack of maturity in your emotional lives is a hindrance and a cancer eating away at your growth in your Spiritual And your natural lives. I pray Deliverance for your life. Deliverance from all that is trying to eat your blessings and promises from God; and Deliverance of All that will nourish your growth of His divine fruit. I pray to our Father for you to be up and out of where you Are, And Delivered right into the next divinely chosen place. I pray for God’s divine appointments to VISIT you and Move you Forward into His Divine plans and Not ‘the man-plan.’ (anything done not in order with God’s Will). I pray that The Spirit’s Power Come And that the Mind of His Spirit be done concerning you. That you are in agreement with the Spirit of Jesus. I pray that you are Moved Away from destructive influences and fleshy thinking and actions. I pray that Your Pass-Over is upon you-with All that Passing over means concerning your life lived for Jesus. I pray that a transformation is begun and completed concerning your maturity in every area of your life-which you allow His Spirit to mature you in areas that you have neglected to work on. I pray that you are complete in your knowing of who you are in Christ-that you represent the Lord Jesus—that you represent the Lord God. I pray that the Inspiration of the Holy One is upon you today and All your days-that all shackles of indecision and anything you are trying to do half-hearted Will fall off and for anything child-like to be discarded. The only childlike way we are to have is concerning our faith in our Father and our Brother. I pray for every person that humbles themselves and calls on the name of the Lord Jesus that you Do hear the Spirit’s call and invoke the Spirit’s presence. I pray that you continue to Stand on the truth of His Word without allowing religious concepts based on sentimentality to pervert its purity. 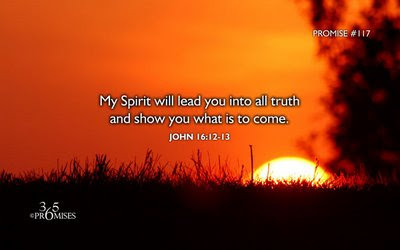 I pray that you are open And willing to See, Hear And Walk in the Spirit of our Lord-And to see that He reveals false concepts and to establish you on a new level of Spiritual actuality. I pray that you will know this will release you to demonstrate His Kingdom in greater power, purpose And Freedom. I pray that you are delivered to be loose from all that has brought confusion, And to allow Him to bring you clarity as He transports you out of darkness into the Light of His Truth. I pray that you GET UP! GET Up in the High places of His presences and inquire of the Lord God what He is purposing you to do for His name sake. I pray that you GET UP and Worship the Father in the name of Jesus! Worship the Son of God-Worship the Holy Spirit-be in agreement with His Holy Spirit-stay in the flow of the Power of the Holy Spirit…Do you hear the Wind behind you directing you which way to go? Listen Actively, and Obey the urging of the Spirit. Ride the Wind! I encourage you, To not put your faith on a shelf or allow Anything-or-Anybody to dilute your faith and trust in God. Remember, please, that Jesus has Already paid the price of salvation-for your Freedom. Whatever you are facing from the cultural changes, the economic changes, the falling of All that was built by greed and evil, It shall not fall on you. This means, even if it falls in your life-it will not take you out. What is 'falling' may affect your life-but the matters of this world the Lord uses to teach us with. This is a time-a Season of growth-The Season of re-birth of what is dead and dormant The Season of Resurrection– your faith and trust in Jesus should be growing during these times—not giving up on God. He watches over every soul, every person that belongs to Him. Leviticus 20:26 "And you shall be holy to Me; for I the Lord am holy, and have separated you from the peoples, that you should be Mine." Many do not know how to call upon the Lord in good times, to offer praise, thanksgiving And to Worship Him for All that He has already done for them. They only Call on Him in rough and bumpy times, like we are in now-and then many will give up waiting and growing because they think God is some drive-thru servant. And when He does not come right away, many go on and do whatever little they can to help themselves. This action will only create a deeper hole that you will fall into. He will separate the tares from the wheat. Those that have a relationship with Him will stand with Him trusting by their faith-those that do not have a relationship with Jesus will fall by the wayside-deeper into the confusion that is birthed and grown from this worlds ways. We have to suffer unto the Lord in Jesus’ name in order to walk His Way. The Ways in which we suffer for Jesus, Is Nothing at All equal to what He did for us. ON This day there Will be good and bad, when we do not know what to do—God knows just what to do. Everything is Always under His Watch. And as you grow in His love, learning each day, one day at a time, you will grow in your trust and faith in Him Who IS the Great I AM! It Is Time for fear to die in your life! Have no fear of bad news that finds its way to you. That is a given for us living here in this world. Always expect that The Lord is watching out for us and waiting for us to call upon Him for help, to call upon Him to offer our praises and thanksgiving. That It is Well with your soul. Worrying about an issue will not make it go away, nor will doing that help you find the answer; only by calling on Him for His desire for you; as you cannot do anything by yourself that will work to correct the problem, the issues or the circumstances. He will use your circumstances to grow your faith and trust in Him. That is the classroom of the Holy Spirit that you are enrolled in when you answered His call to be His Worker. Learning His ways is a process of un-learning what the world has taught us and re-learning what is actually the truth-His Way. HE Is HERE! Here as truly as He was with His disciples of old—He Is Here for us-His disciples-His Sheep of today. We have been called and set apart for His Purposes—not our own. John 15:16 "You have not chosen Me, but I have chosen you and I have appointed you [I have planted you], that you might go and bear fruit and keep on bearing, and that your fruit may be lasting [that it may remain, abide], so that whatever you ask the Father in My Name [as [a]presenting all that I AM], He may give it to you." Get out of the way and Let God be God. Emmanuel, God IS With Us! As I grow deeper into the understanding, the wisdom, and the knowledge given me from The Teacher, I see that more often than not, that I have the Heart of Mary and the daily schedule of Martha. Knowing when you are full with ‘stuff’ from your day is to hear His call to you, to come and rest. ‘You Time’ is what I am speaking about. ‘You time’ spent with The Lord will restore and comfort you. Jesus Is the Master of the universe. He calls His followers to accept His Ordered Word. When we do this in Joyful sincerity, we are linked with His All creative Force. His Spirit can then be operative, first in us And then Through us. He Is Here to help and Bless us. He Is Here to accompany with us as we walk in His Way. If you do not know this –please learn it –that this is the Priceless Blessing of our lives. Amen. Know that He forgives us as we have prayed Him to do, for All the neglecting of His commands, in order to Start anew from today. He continues to urge us to study His words And to carry them out unflinchingly, unafraid. As we do this, we will find that we are miracle-workers, workers together with Him and for Him. He Is beside us-He Is with us in All that we do. 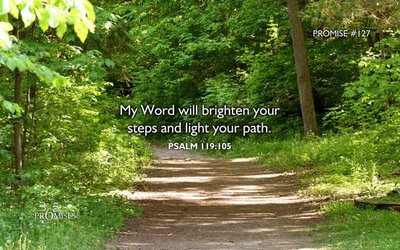 He controls our thoughts; He inspires us and guides our footsteps. If He Is Lord over and in your life. 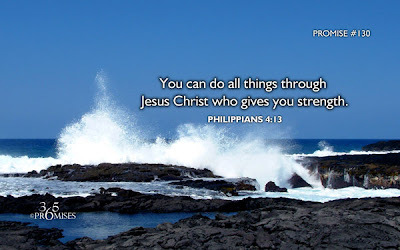 He Strengthens us-body, mind And Spirit. He Is the link between us and those who are in the Unseen. He Is the Controller of our destinies. He Is the Guardian, the Advocate, the Provider and the Friend to each that listens, hears, and obeys His commands. We to love Him more And more. So that we will not only enjoy to the fullest the treasures and pleasures of His Kingdom, but also increasingly those of Nature, His gift to His world. Believe in the Unseen to be the true reality-that which is seen is not real. He wants to See You Free!